For your donation of $15 we want offer you a free bag of our coffee. Your donation also contributes directly to the students of Plan Escalon in the aid of their education and vocational preparation. Not only do the students receive the needed funding for their studies they are also learning important aspects of work integrity, team work, business principles and entrepreneur concepts that are preparing them to be thee workforce in Honduras. This preparation also curbs the need for getting involved in illegal emigration and drug trafficking because they can be successful professionals for Christ. 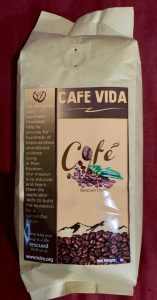 Please click the “Donate Now” button above to donate and REMEMBER TO FILL THE FORM BELOW SO WE CAN SHIP YOUR BAG OF NATURAL COFFEE. How Many Bags Of Coffee Would You Like?